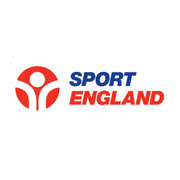 Previously known as the English Sports Council, Sport England exists to help distribute money given by the Government Exchequer and National Lottery Funds. It has a brief to invest in projects and organisations that will help at the very basics of sport, and to help others to achieve high success in whatever sport they may choose. Sport England also works alongside the Youth Sport Trust which concentrates on sport in schools and physical education, as well as UK Sport which focuses its efforts on the country’s elite sportsmen and sportswomen. Sport England is answerable for its actions and decisions to the UK Parliament’s ‘Department for Culture, Media and Sport’, who also ensure that Sport England is consulted on any planning applications or decisions that may affect a school or municipal playing field. The commercial side of Sport England will help to find businesses or other partners who are willing to invest in return for agreed levels of exposure. Sport England is a huge organisation which has 11 offices spread across the UK in order to monitor, organise and distribute the £500 million which is made available to them every year. Highly qualified employees are able to also support sporting organisations with advice on coaching, facilities and planning as well as the development of sports in designated areas.